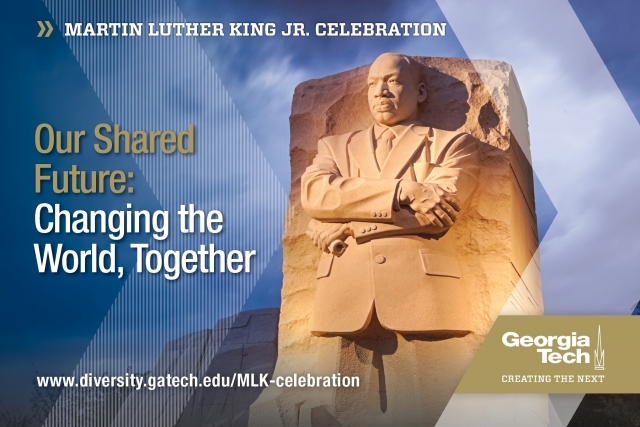 The commemoration of the life and work of Dr. Martin Luther King Jr. at the Georgia Institute of Technology encompasses an ambitious slate of events organized by faculty, staff, and students. Our MLK Celebration includes various educational programs and service opportunities to encourage active participation from the campus and nearby community. As an academic institution dedicated to advancing a culture of inclusive excellence, we reflect upon the contributions of Dr. Martin Luther King Jr. during our annual MLK Celebration. We recognize the ongoing global struggle for social justice, social courage, and the need for sustainable social change. We are pleased to honor Dr. Martin Luther King's legacy as we set the agenda for the next civil rights movement. 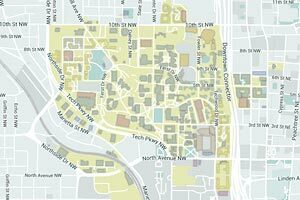 To view the listing of MLK Celebration events, click here. 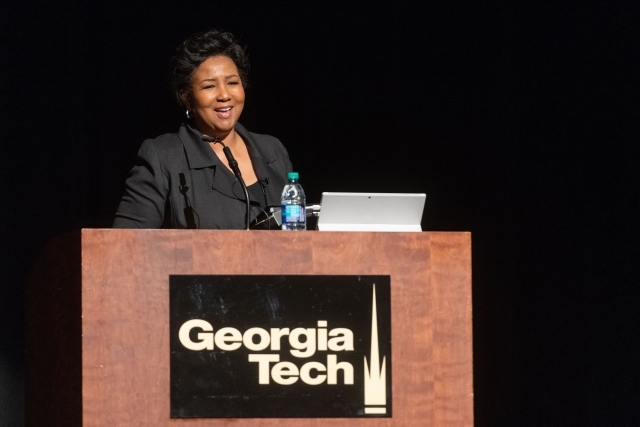 As part of Georgia Tech’s 2019 Martin Luther King Jr. Celebration, the Eighth Annual Lecture featured Dr. Mae Jemison, engineer, physician, and NASA astronaut, and her discussion of King’s legacy and the journey individuals must take to change the world together and create a shared future.